The craft, seen hidden under a black cover, is believed to be a radical new craft using electric ‘hairdryer’ to allow it to land and take off vertically. 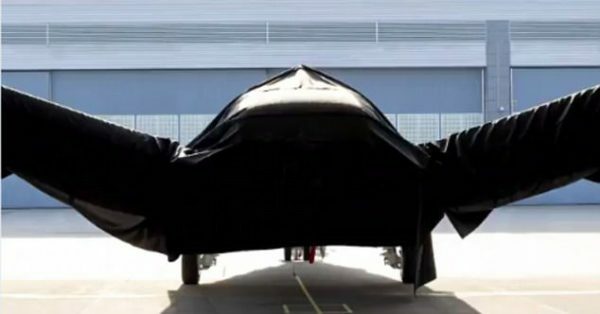 The aerospace giant’s defence arm teased the new craft, covered in a black cloth. 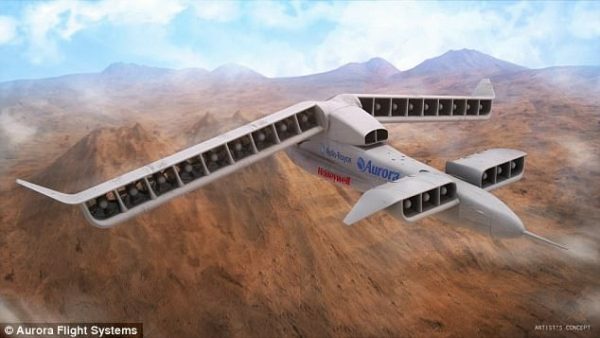 It is believed to be a radical new craft using electric ‘hairdryer’ to allow it to land and take off vertically. Speculation has so far said it could be anything from a new spaceplane to an electric fighter jet. 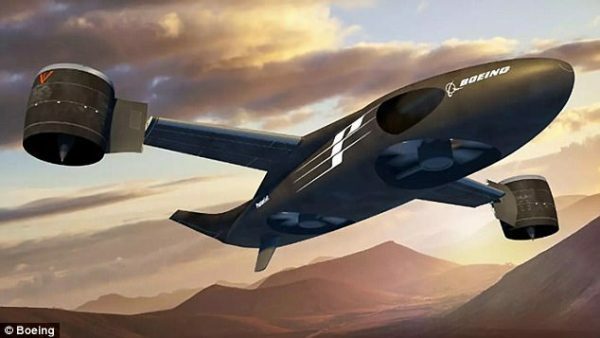 Boeing’s Phantom Swift: The design leverages two large fans buried in the aircraft’s fuselage to provide vertical lift and a pair of swiveling wingtip fans for stability and control during hover and for propulsion during forward flight. At first glance, this aircraft looks like a derivative of Sierra Nevada Corporation’s Dreamchaser orbiter—a space faring aircraft design that has roots dating back to the dawn of manned spaceflight But Boeing isn’t part of that program and it would seem somewhat odd to shoehorn a similar program into the defense space alone, although it is possible. Earlier this year, the first prototype of the LightningStrike, Darpa’s vertical take-off and landing experimental aircraft project took to the air – and maybe of its capabilities could be in the new craft. Boeing has a very unique past with reusable orbiter type space vehicles, having brought the X-37B to life for the Pentagon, and the company has an even longer history with the Space Shuttle. Boeing acquired the Space Shuttle’s original manufacturer Rockwell in 1996. Maybe Boeing is going to attempt to field a very similar product aimed solely at the defense sector. Boeing has also been chosen by the Pentagon’s “bleeding edge” research and development arm DARPA to build a new revolutionary spaceplane-like system called the XS-1. It is possible that this aircraft has something to do with this program, even if it is just in a scaled down risk-reduction or technology demonstrator form.